There is nothing worse than dealing with a migraine. The incessant throbbing pain, the queasy stomach, and oftentimes intense sensitivity to light. Fortunately, there are a number of high-end face masks that can help block out light completely and help with your migraine. We have done the research and found the best ones on the market today, along with other things you can do to help your migraines. Continue reading to discover the best sleep masks for migraines that you are available today. What Else Do You Recommend To Help With Migraines? Do Sleep Masks Really Help With Migraines? Where Should I Purchase A Sleep Mask? Swanwick Sleep 100% Pure Silk Eye Mask is one of the best sleep masks on the market today. It is oversized, which means it stretches fully over the eyes and part of the head. This allows it to fully block out all light, thus helping you deal with your sensitivity to light due to your migraine. As the name would suggest, the mask is made 100% completely of silk, which means in addition to blocking out light, it is also incredibly comfortable. The last thing you want to deal with when suffering from a migraine is an uncomfortable sleep mask, and fortunately, Swanwick Sleep 100% Pure Silk Eye Mask is luxurious and easy to use. In addition to completely blocking out all light, the eye mask also has some beneficial features. Silk naturally fights of dust mites and fungus and uncomfortable odors, thus helping keep your body in tip-top shape. We highly recommend utilizing this sleep mask if you have migraines or any other issue that is affecting your sleep. 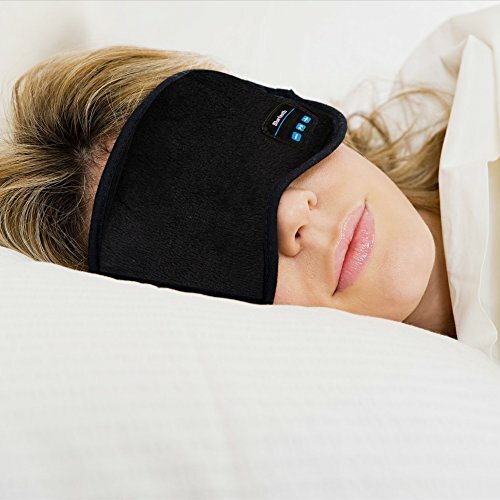 Dream Sleeper Sleep Mask is another top-rated sleep mask for migraines that blocks out 100% of light. The mask is high quality and utilizes a fully adjustable velcro strap which will fit any head size. The mask is made out of satin but has a silky feeling which thus makes it feel extremely comfortable. One of the things we like most about the Dream Sleeper Sleep Mask is that it can successfully be worn in any sleep position. 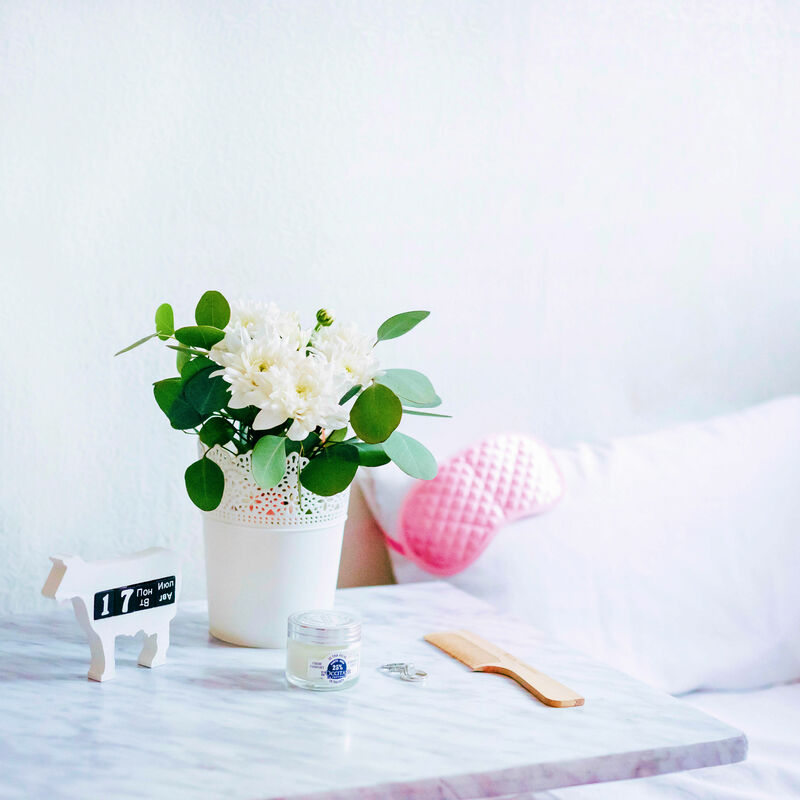 This is a huge deal – we find that when dealing with migraines (or any other ailment that can cause sleep issues) we have a tendency to toss and turn and change sleep positions. Fortunately, the Sleeper Sleep Mask works great in any position and will block out light, thus helping you deal with your migraine. 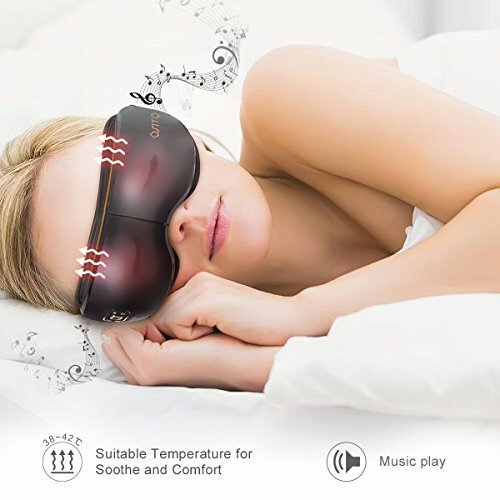 If you find that listening to music while you have a migraine is beneficial, then we highly recommend using Lavince Bluetooth Sleeping Eye Mask Headphones. Essentially, this is a high-quality sleep mask, combined with Bluetooth headphones that can help you fall asleep quickly and easily. We are huge fans of this sleep mask – a single charge can last up to 15 hours of playing time, meaning you can wear it night after night without worrying about the battery dying. This is a great option if you enjoy using music therapy to help combat your migraines. 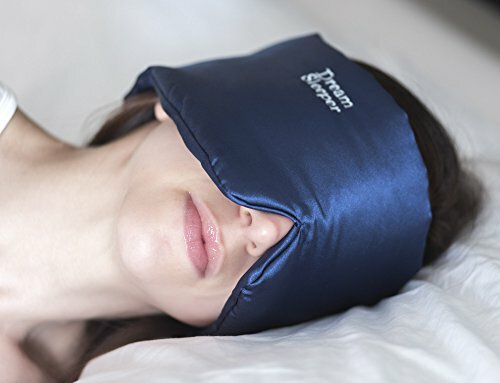 Although not technically an eye mask, an eye massager can also work well to help you deal with a migraine. In addition to blocking out light, OSITO Eye Massager also has a an eye massaging setting, which can help with migraines and also help you fall asleep. The system massages the eye area using light heat compression and air pressure massage, which can be both beneficial and heavily relaxing. This can relieve some of the pressure that has built up in your eye and eye muscles due to the physical strain of headaches, stress, and migraines. It also allows you to play music, which can be soothing as well. Admittedly, the only downside of this eye massager is that it can be difficult to sleep on your stomach with. However, if you are a back or side sleeper, this can be a great tool for you to utilize. There are three essential components that we consider when we look for a great sleep mask that you can utilize to help combat your migraines. 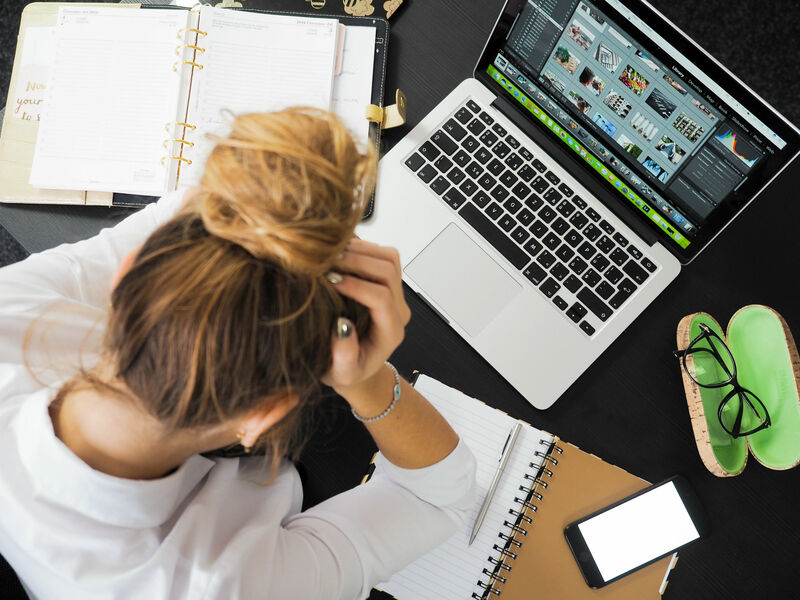 First of all, we look for total blockage of light – this is crucial because as you know, light sensitivity increases substantially when you are experiencing a migraine. In layman’s terms, this means that light is going to cause you pain and prevent you from being able to fall asleep. The second thing we look for is comfortability. It is of utmost importance that the sleep mask is comfortable to use and rests easily on your face without providing any excessive pressure or discomfort. Obviously, we want our face masks to help prevent migraine pain and discomfort, not increase it! We find that silk (or silk-like materials) tend to be the most comfortable and least intrusive to your sleep. The third thing we look for is high-end build quality – we want your sleep mask to last a long time and help you with your migraines for years to come. We find that the cheap, disposable sleep masks (such as the ones handed out on planes) tend to have elastic bands that wear out very quickly. They also tend to shift around on your face as you sleep, thus allowing light in and disrupting your sleep. A variety of studies have shown that meditating can have a positive effect on headaches for many sufferers. 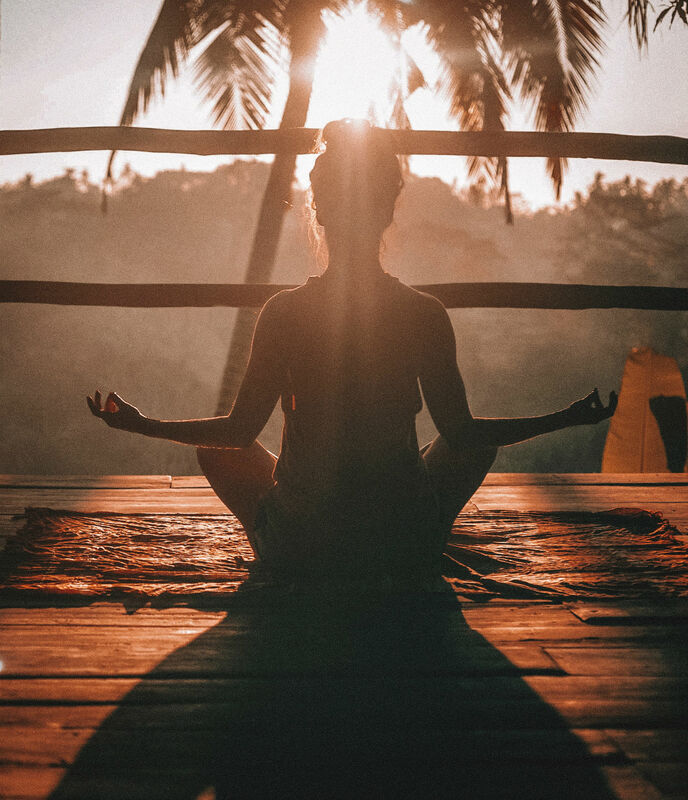 Although it is not known exactly why meditating can have a positive effect on migraine sufferers, it is believed that it may allow people to accept underlying stress and pain, thus limiting its effects on the sufferer. In certain studies, nearly 72% of people with chronic headaches reported a reduction in their reported levels of pain. Meditating is simple – in a comfortable position, focus solely on your breathing. Whenever you find your mind wandering, gently refocus your attention back on your breath. This can be done for just a few minutes a day to start, and then upwards of an hour or more when you have become more experienced. It may sound extremely straightforward, but introducing meditation into your daily schedule can help with your migraines, sleep quality, and overall sense of well-being. There are various types of meditation, this is just one of the easiest and simplest to integrate into your daily life. For some people, physical exercise can lower stress hormones and actually prevent migraines from developing in the future. 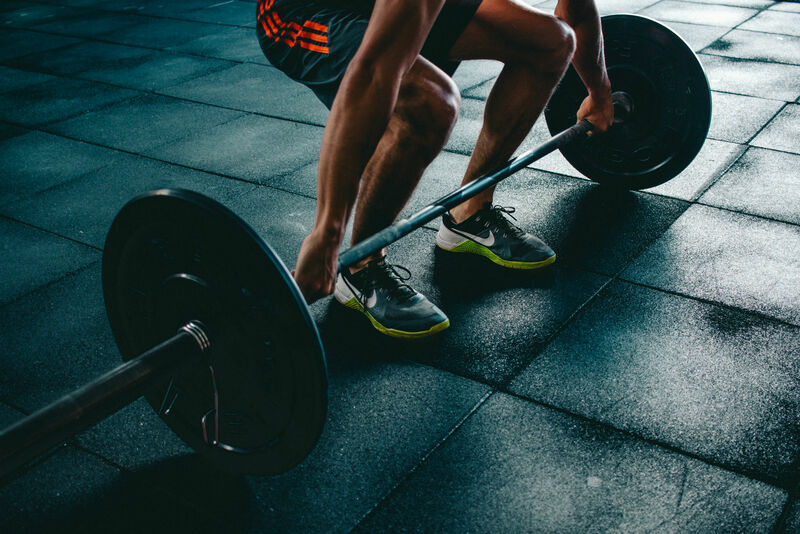 It is important to slowly introduce exercise into your routine and to always stay well-hydrated and eat proper foot before and after your workout. Keep in mind that in some instances, the elevated blood pressure that comes from exercising can actually induce migraines. Talk to your doctor about your symptoms and whether or not exercising is a good preventative measure for you. This website does not provide medical advice. In many instances, weighted blankets can be a great tool to help with migraines, anxiety, stress, and more. Additionally, if you are looking for a way to block out sounds while you sleep, we have an extensive list of which can help if you are particularly sensitive to sounds during your migraines. Yes, in many instances, sleep masks can help with migraines. This is especially true if you are sensitive to light, which is a common side-effect of migraines. Keep in mind that not everyone experiences this effect from migraines, so not everyone will get the same benefit from using a sleep mask. However, blocking out light usually always improves a persons sleep quality, so you will certainly benefit from a high quality sleep mask. Some of our readers have reached out to us and inquired about exactly where they should purchase a face mask to help with their migraines. They have inquired about places like CVS, Walgreens, Walmart, and eBay. We recommend purchasing one on Amazon. Click here to go directly to the product page for Swanwick Sleep 100% Pure Silk Eye Mask on Amazon.com. 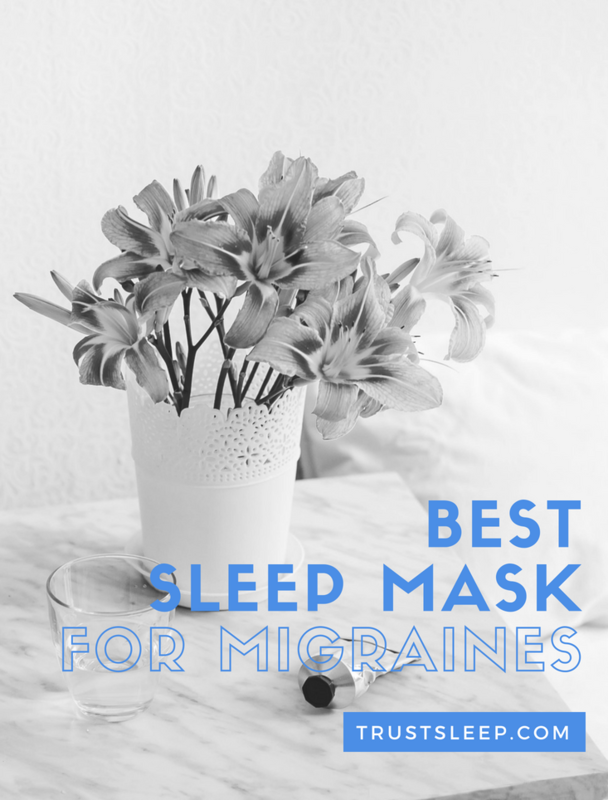 Thank you for taking the time to read our article on the best sleep mask for migraines. We hope you have found this useful, and we wish you the best of luck with your migraine fighting journey. Feel free to leave a comment below if you have any experience dealing with migraines.